Progressive design-build is prevalent in the water and wastewater market sector. However, this procurement type has lagged in the transportation market, specifically the heavy highway market. Could progressive design-build mitigate the liability concerns associated with traditional design-build in other markets? So, what is progressive design-build? It’s a procurement process that maintains owner control while also pulling the design-build team in as early as possible during the project development stage. The owner selects the team based on qualifications with some level of cost verification versus a Guaranteed Maximum Price (GMP) or fixed price proposal. The team then works with the owner under a cost plus structured contract to develop the design based upon cost-effective project requirements that meet the budget. The owner can add or subtract items as budgets allow so there are no bid surprises. All parties benefit since the owner is pro-actively involved throughout the design, and bid risks are minimized by openly discussing project requirements collaboratively so items are not left out of the design-build team’s bid. During the planning stage, the owner, designer, and contractor collaborate through the 60 to 70 percent project submission phase. On a typical fixed price design-build procurement, the owner relinquishes control of the design much earlier. Once the scope and design are set and the GMP is established, a fixed price design-build contract is executed with the design-build team. Prior to the execution of the fixed price design-build contract, work items, scope changes, and added items are addressed using open book negotiations. But what does this all mean to owners? And why should transportation officials pay attention? The simple answer is they are in control every step of the way. This is important due to their tacit knowledge of the project, which cannot be completely conveyed in a list of project requirements. While the design-build team and owner spend more time planning, it essentially reduces the risk of unforeseen costs later in the project. Higher level of planning during the development stage leads to better evaluation of quantities for pricing. More coordination between design-build team and owners help flesh out unknown concerns, such as property owner hold-outs, utility relocations, and/or poor subsurface conditions, to name a few. More time to familiarize the team with the conditions on the project site and research in the field. There can’t be a new process in the industry without critiques. 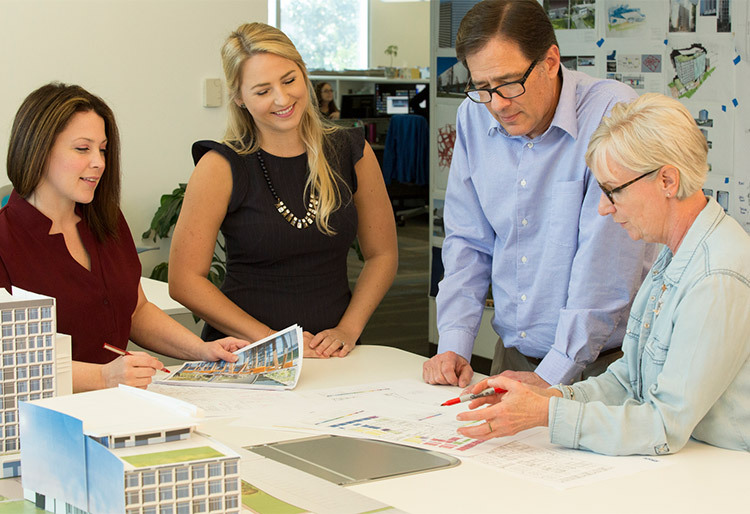 Some argue this process may be limiting innovation, since only one design-build team is submitting ideas, versus potentially three to five teams submitting design ideas in a typical design-build. However, sometimes these innovations have fatal flaws that are discovered later. Since this fatal flaw was not known at bid, one of the parties will have to cover the additional costs leading to claims. Claims can often hinder if not stop all together team progress, jeopardizing project success. On other occasions, owners have expressed concern with allowing too much innovation during the procurement. In each case, progressive design-build can help the owner achieve their goals. It also provides the owner with the flexibility to control the level of involvement and timing of one or multiple design-build teams. 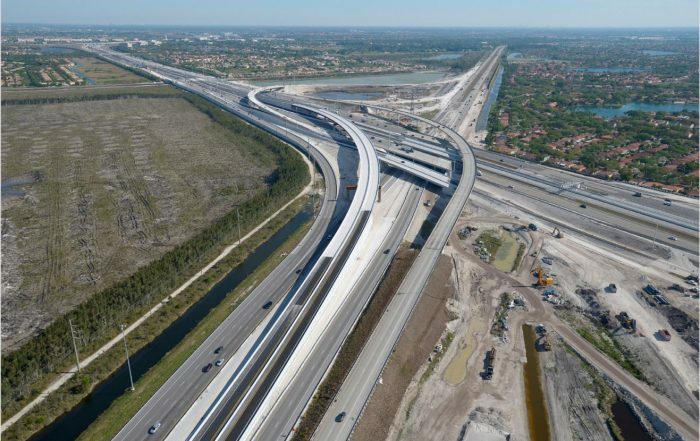 While a few major highway projects have been completed with this method, the industry still needs to be educated to understand the benefits of progressive design-build. Owners may have questions about which projects PDB may be appropriate for versus other procurement options. Legislative authorization for design-build has been created in all states except for three, so it makes sense owners will begin shifting toward progressive design-build if they understand the foundation of design-build. Recently the Maryland Department of Transportation State Highway Administration successfully completed the procurement of the IS 270 Innovative Congestion Management contract using the progressive design-build method. This state-funded project included a completely open scope with no pre-determined solutions. 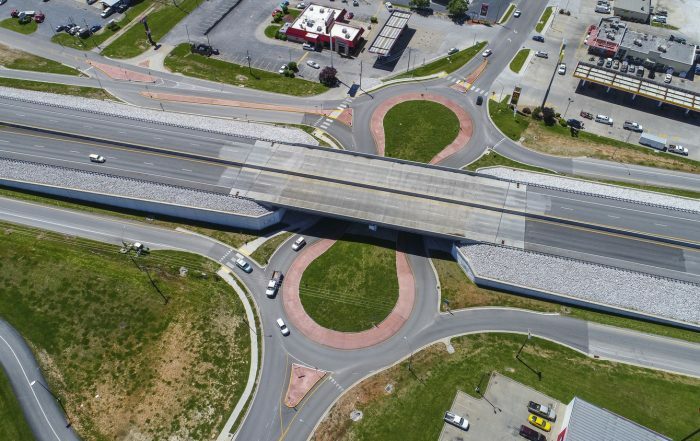 A fixed budget of $100 million was allocated and the contract awarded to the design-builder that best met the contract’s goals of moving traffic most efficiently through the corridor for the $100 million budget. The contract is under construction and the progressive design-build process has been successful thus far in developing and delivering innovative congestion relief improvements for Maryland. The agency has been very pleased with the results and intends to use progressive design-build again. Jeff Folden, PE, DBIA from MDOT SHA recently presented at the 2018 DBIA Transportation Conference on the IS-270 PDB contract. During his presentation, Jeff discussed that the process has been highly successful in delivering new and innovative congestion relief improvements to Maryland. 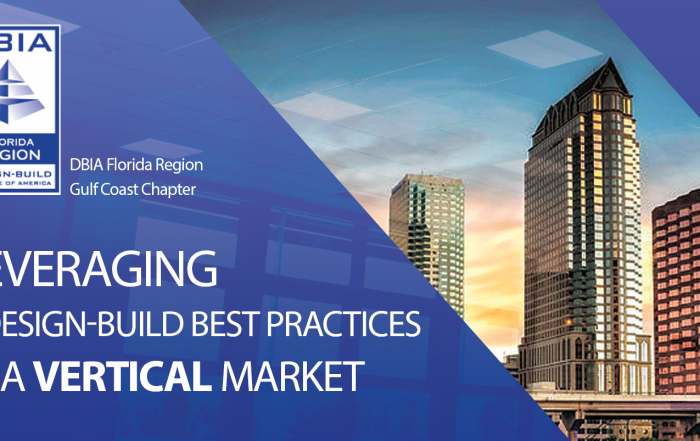 The choice to use design-build is continuing to increase, especially for larger projects, and many governmental agencies are considering using this procurement method due to its specific benefits. State and local agencies are leveraging programs that are surfacing nationally, which are based on the benefits of using design-build and public-private partnerships. 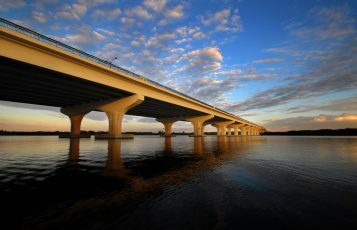 “Alternative project delivery is no longer alternative – it’s primary,” Jim added. Approximately 45 percent of the current infrastructure market is using alternative delivery methods. And we expect that number to continue to rise, as progressive design-build emerges as an option for owners. This will surely lead to growth and experimentation in this area for years to come. 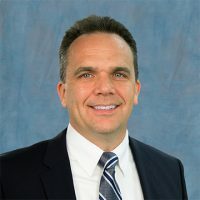 As Senior Vice President, Chad leads the company’s growing initiatives in design-build and alternative project delivery across all of its markets. Chad has 27 years of experience in the architecture, engineering and construction industry. 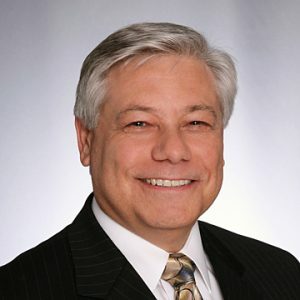 He's a licensed professional engineer, a designated design-build professional through the Design-Build Institute of America, and holds his LEED accreditation in building design and construction through the U.S. Green Building Council. Critcher received a master’s degree in civil engineering from North Carolina State University and a bachelor’s degree from the University of North Carolina – Charlotte. Submitting new ideas and parallel work by the owner and team is important but I find the advantages too limiting in comparison to 3 or 5 teams submitting their ideas.